When we are body disconnected, we find ourselves thinking to much and possibly being told we are “in our head” most of the time. As Americans, we fall into the category of extreme body-disconnect. Do you feel clumsy in your body and experience yourself in a way that leaves you feeling awkward and well…disconnected? This lack of mind-body connection is a core struggle that leads to many other life problems that we can experience. A simple ache can grow into an injury as well as the common cold become a major illness. If we view our selves as a whole system, it is imperative that we connect with every aspect; from fingers to toes. Our lack of respect for our bodies can leads us to participate in unmanaged damage that could have life altering effects. To begin, get out of your head and take a deep breath. Yes, breathe in the deepest breath you have taken today. Some research says that the simple act of holding our breaths, especially during times of stress, deprive our mind and body of the necessary oxygen we need just to slow down, think and be present with ourselves. So, yes, breathe and breathe again…..
Next, Move, but with INTENTION. Sometimes when I am experiencing more body disconnection, I am one bruised up girl. I run into walls and chairs that I swear are jumping out at me, but have not moved from the exact spot I put them in years ago! So moving with intention is key. It is true that you can practice most any kind of movement with intention, being mindful of what and how your body is behaving. For the beginner body connector, or if you are like me and can loose the connection easily, I recommend slow, steady consistent movement that focuses on the breath, such as YOGA. For many, the idea of trying yoga can be extremely daunting and uncomfortable. The truth is Yoga is for Every-Body. So many myths abound around yoga. Some believe that yoga can only be practiced in the context of a particular religion; while some believe that only the truly fit body can be an avid yogi. 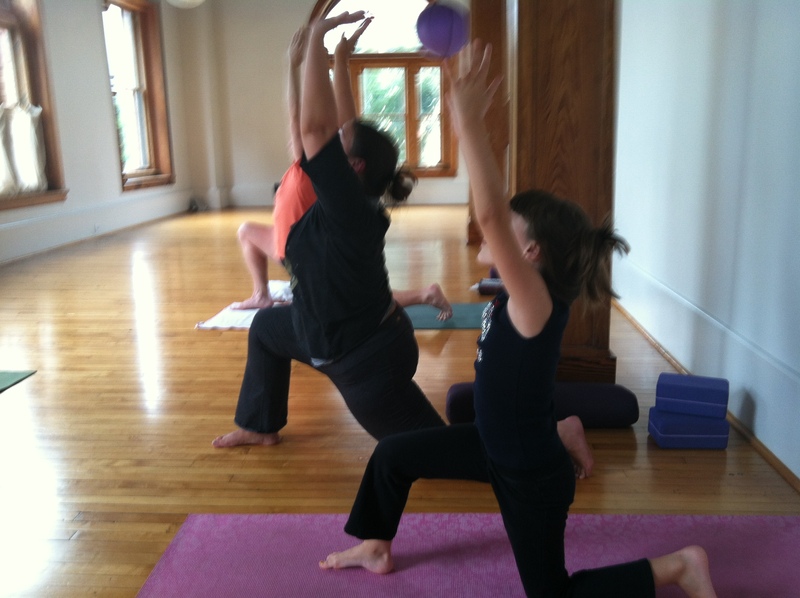 The truth about yoga is that it can be practiced by any person regardless of fitness level. Yoga is the type of mind-body practice where you are encouraged to listen carefully to what you need and modify your movements to meet the bodies limits. I have learned this can easily change from day to day. Some days a simple pose like the ‘downward dog’ is easy while other times I can’t wait for the teacher to instruct me to move on to the next pose! Yoga is often seen as a spiritual practice, it is not, however, a practice that purports a particular doctrine or dogma. Instead, yoga suggests that our bodies are sacred and remembering to connect with them in a meaningful way can have so many positive effects. If we return to our four pillars of health: emotional, physical, sexual and spiritual, we are reminded that without these four pillars, we become a lopsided, three legged table. Without finding a meaningful way to connect these four aspects of our health, we are not whole. Yoga can be the glue that allows us to connect to our Whole Selves and offer everyone regardless of our fitness level, spiritual background or fitness history an opportunity to remember the awesome connection we have within ourselves when we simply carve out time to breathe and move with intention. So, Yes- Take another deep breath. Feel your chest expand as your lungs fill with the happy gladness that only oxygen can provide. Find a Yoga practice that is right for your body and eliminate the disconnect. 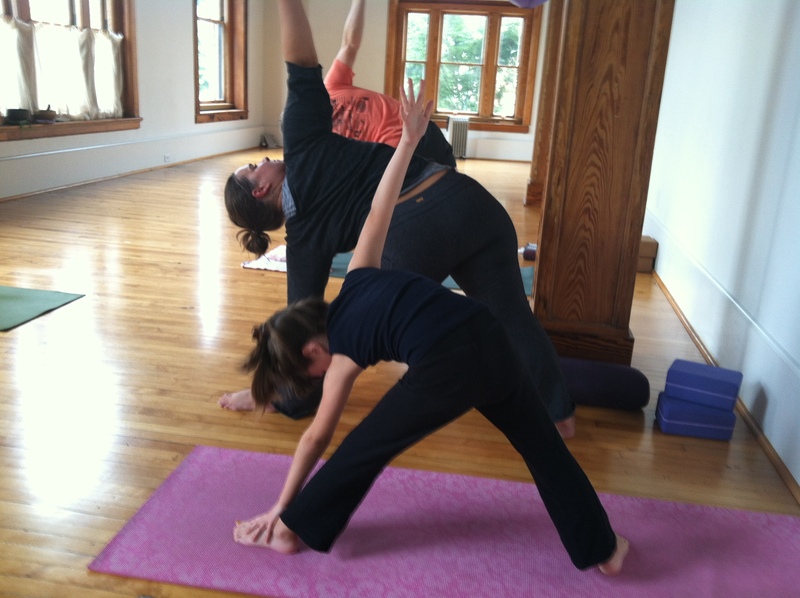 Recently, my eight year old daughter went to her very first yoga class after she was told by our pediatrician that she needed to increase her flexibility. Afterwards, I asked her how the experience was for her. She said she really enjoyed it and when asked why, she replied, “I liked that it reminded me that (looking down her toes) my feet are on the ground and I will get better at touching them with my hands.” With that, she wriggled her toes, looked at me and smiled. Be Well and LiVe OuT LoUd. Thank you for this! You are obviously a well trained yoga instructor. I still consider myself a novice yogi, but encourage most of my clients to try it! Hope they read this too! !